Famously called the Jamali Kamali, the Mehrauli Archaeological Park, has monuments from around the 11th century. Lying about 200 meters from the Qutub Minar, its main attractions include the mosque and tomb of Jamali, a stepwell and a residence of a British official. At the entrance of the park, we are greeted with the simplest example of the Mamluk architecture – Balban’s Tomb. The path then leads us to the Jamali Kamali Mosque. The mosque takes us back in history to the era of the Sayyids and the Lodis. You can also enjoy the famous baolis (rajon ki baoli and gandhak ki baoli). One of the only consistently inhabited places since the 11th century, the park displays the legacy of many kingdoms that rose and fell down. Only ruins and the old, battered walls of a time long past is all that remains now. The magnificence of this place attracts a lot of tourists every year. 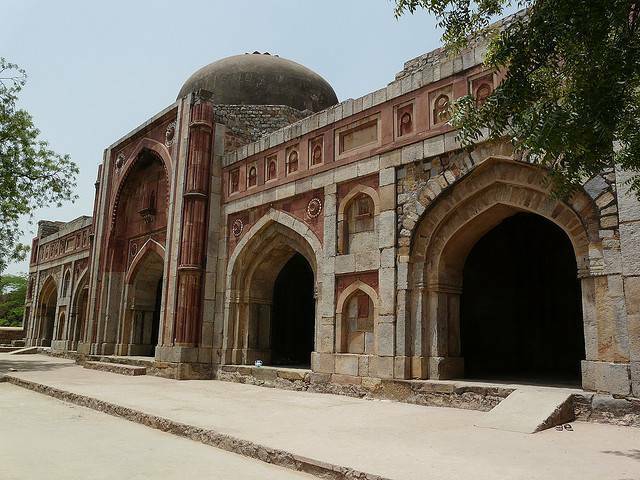 A heritage walk through the Mehrauli Archealogical Park can be quite a treat for the history maniacs. One of the songs from the famous Bollywood movie Lakshya was shot here.